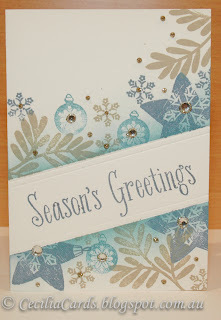 Hi all, back again as I'm in a crafting mood again after a tiring week with Christmas and work. I been wanting to submit another card for 'The Classroom' Hero Arts Cling Stamp Challenge. 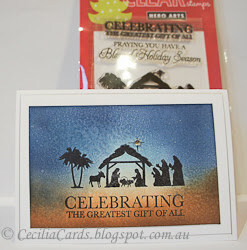 I also want to give a new technique a try - double sponging with embossing as demonstrated by Rosemary on Our Daily Bread Designs. 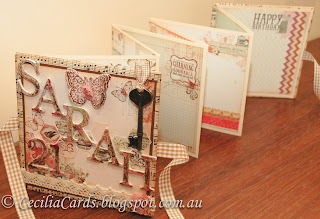 I love this technique and will try it again, it's not as daunting as it looks! 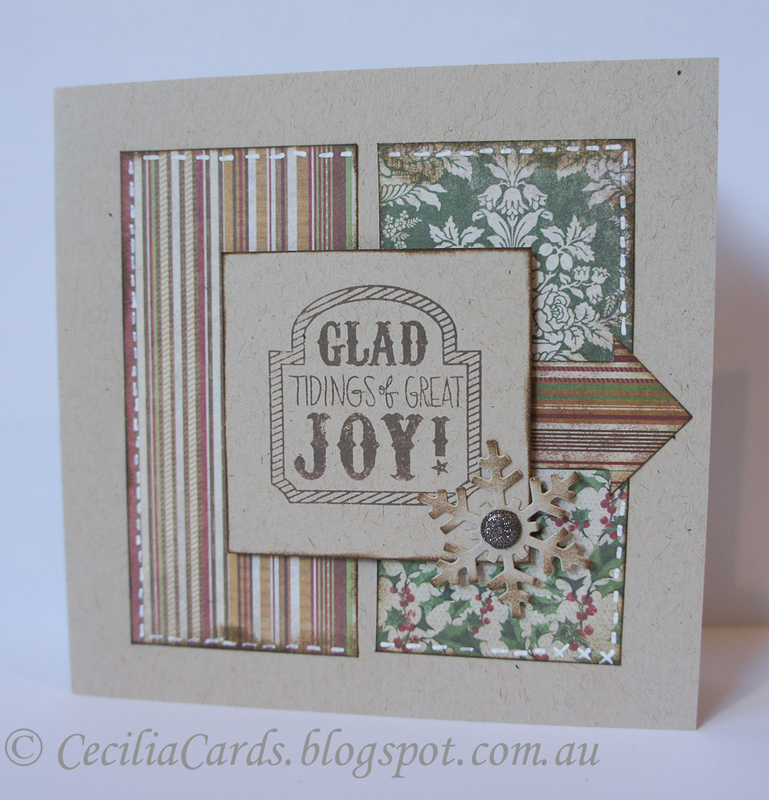 The trick is to pick the right colours and stamps! 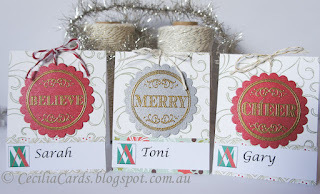 As stipulated by The Classroom, here is my card with the HA Clings I used. I also used the Runway Inspired Challenge #26 - Bibhu Mohapatra's photo for inspiration. 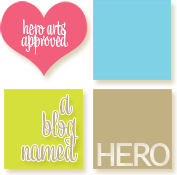 A Blog Named Hero just announced their new challenge for 2013 - New Year, New You. As this is a new technique for me, it's a New Me done on New Year! 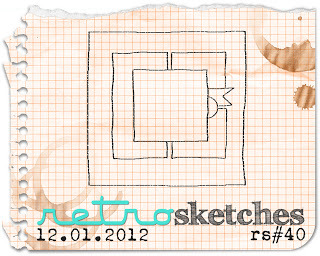 Thank you for dropping by and Happy New Year! Here are my top 12 this year! Some of them have won prizes and some had lots of visits or comments on my blog and on Flickr. 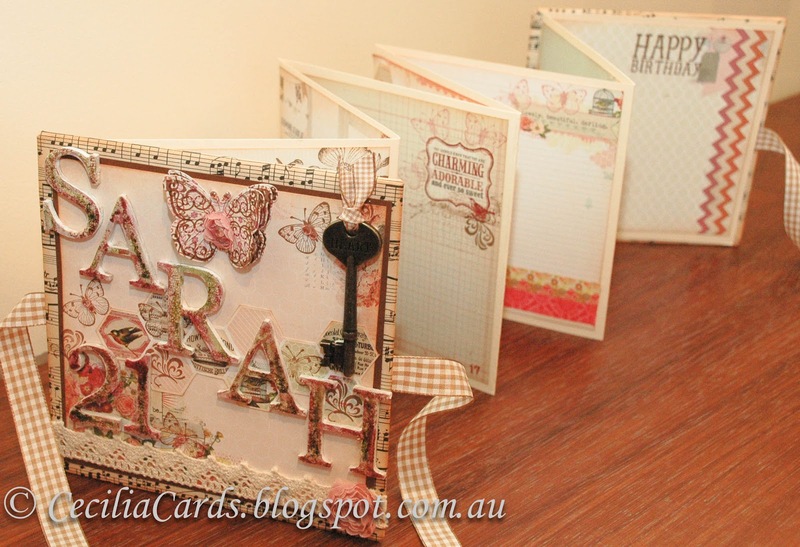 I made this signing album for my niece's 21st - she loved it! 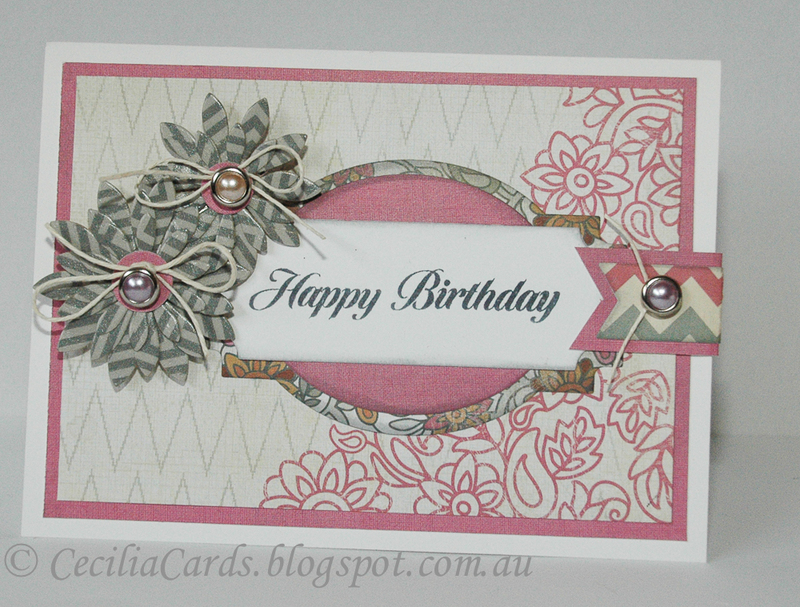 This card was inspired and re-tweeted by Jennifer McGuire and is my post popular post! This is an old favourite as it was my first online win on CR84FN! 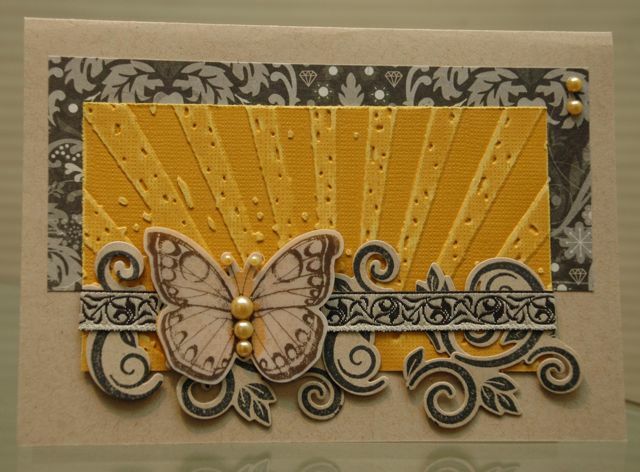 This card was inspired by Kristina Werner and I won $100 worth of washi tape with this card! Another card inspired by Jennifer Mcguire using distress inks and embossing. No wins with this card, but I got a lot of visits on my blog! 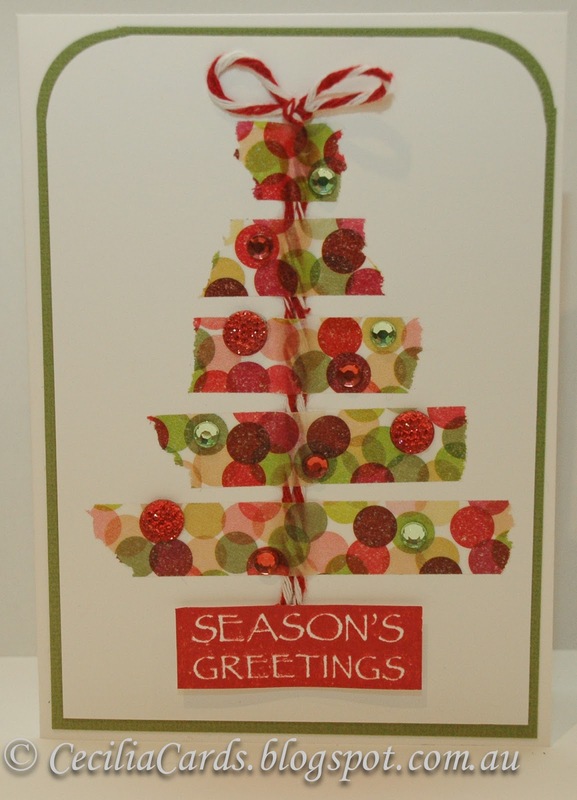 Christmas card inspired by Online Holiday Card Workshop. My last Christmas card for the year - made for my Mum! 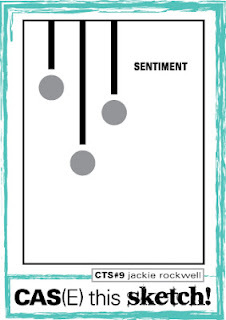 A Basic Grey win for this card - casing Joy Taylor. 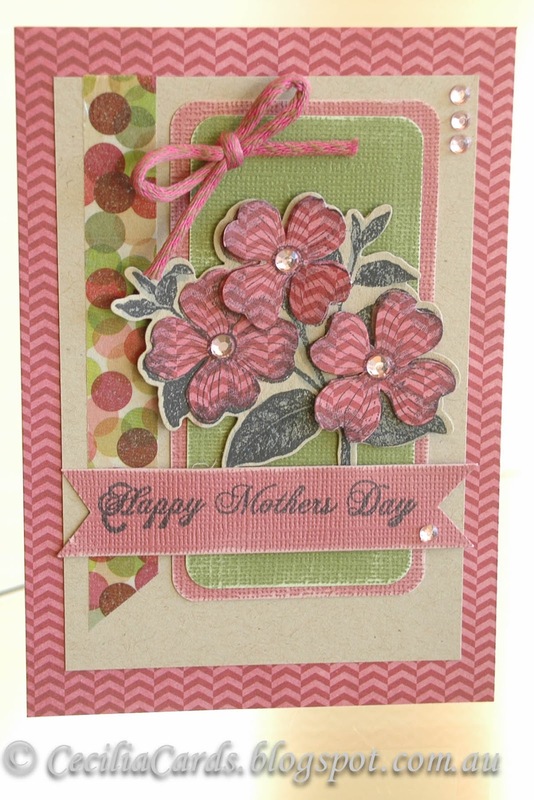 Mother's Day card - got repined the most on Pinterest on the day I posted! Chinese Wedding Dolls - I made a lot this year, but this one is my favourite! I would like to share some photos of our Christmas day in Melbourne on a beautiful day. 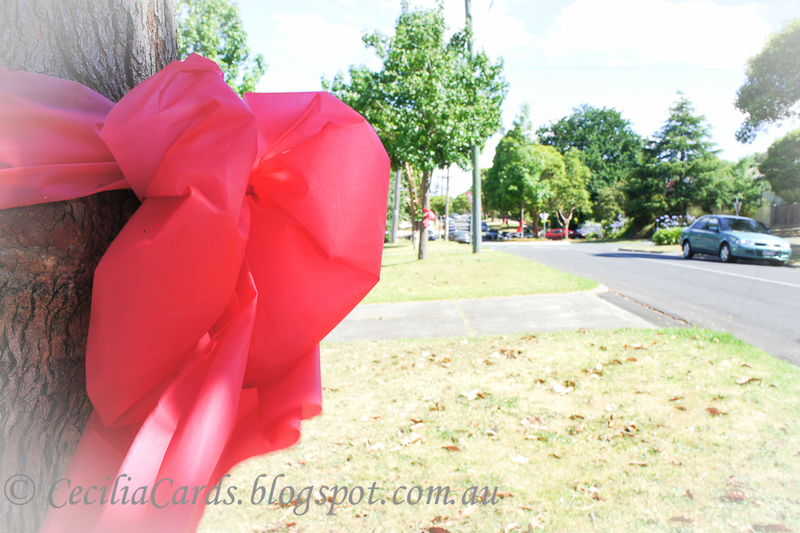 The trees in our street were dressed with pretty red ribbons. My neighbour down the road started doing this one year and he did his side of the street. 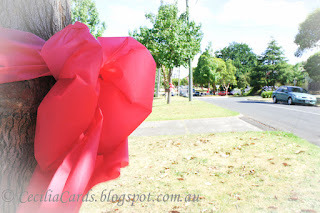 I followed the trend and did the same on our side of the road, so now the two blocks of our street is covered with ribboned trees during Christmas every year! Our table settings were all red themed. I saw on Pinterest last year, a nail polish gift with 'For Your Mistle Toes' and have wanted to do it ever since! So the females all got OPI nail polish and the males had 'Reindeer Noses' on their place settings. My son helped me die cut all the 40 Poinsettia flowers needed for the table of 20. I assembled them with crochet flowers made with Gold Shimmer twine and a brad. Tiger, our cat even got into the festive mood. 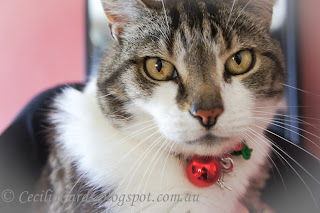 Although he was not too happy with all the visitors in the house! 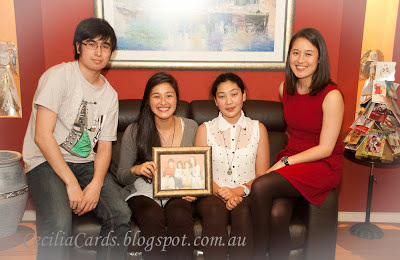 My photographer brother took a photo of all the Hsieh cousins in the same spot that another photo was taken 7 years ago! We had a great dinner with both mine and Robin's families. We had a few minor mishaps (The Turkey Incident and a napkin caught on fire from the candles on the table) but everything turned out well in the end. The best part about Christmas dinner is the leftovers the next day or two! Hope everyone had a great day and would love to hear about your day! It's been so strange this year, for the first time I am really organised. 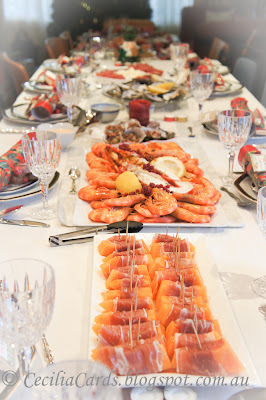 It is Christmas Eve and the table for 20 is set for tomorrow night. Dessert is made, cookies done, presents all under the tree, turkey stuffed (with help from a live-in Chef) and I even had time to make a very quick card. 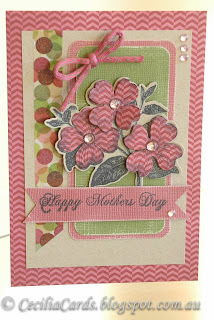 This card is for my Mum as I wanted to make her one with a religious message. 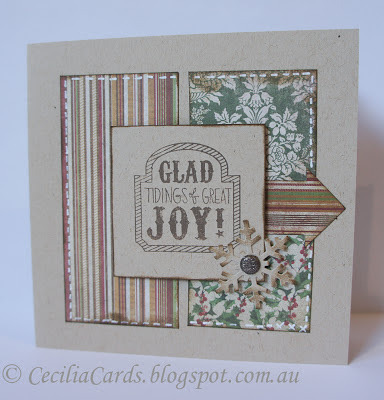 I'm entering this card into Ellen Hutson's Hero Arts Clear Stamps challenge and also CASual Friday's 10 minute card (Dashing thru' the holidays). 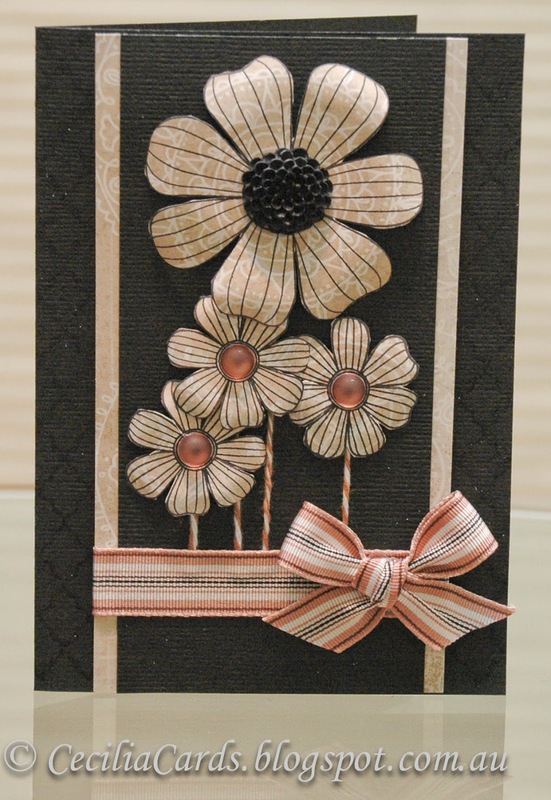 This card is one layer and so easy to make. 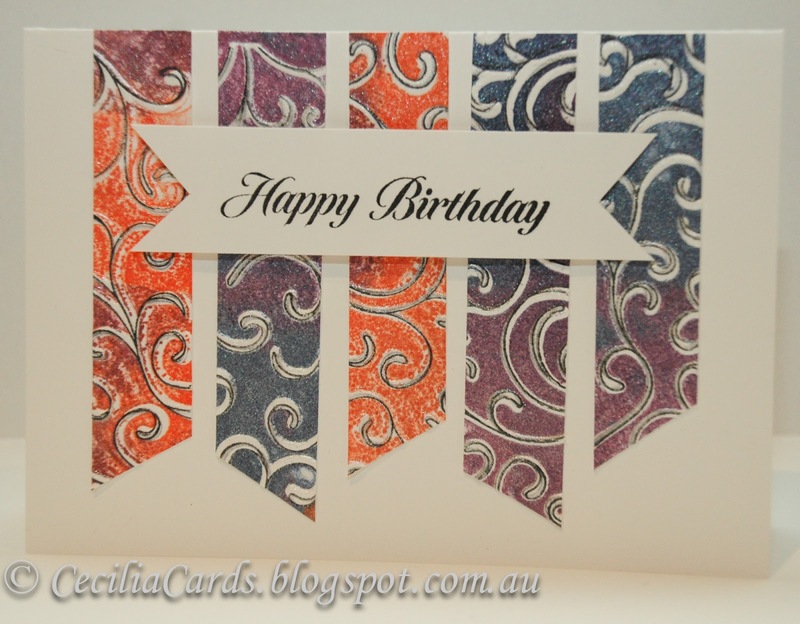 The cardstock was sponged with 4 shades of distress inks. 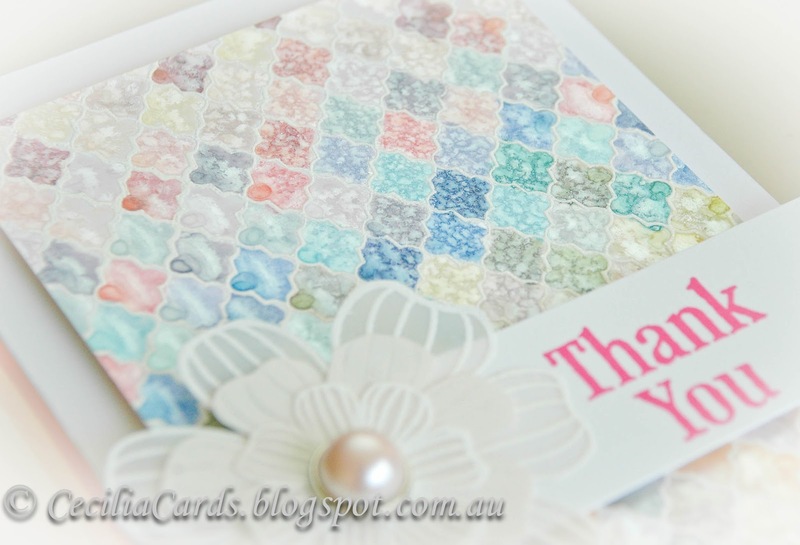 The stamps were stamped in black and then sprayed with Perfect Pearls. Sorry about the poor quality of photo -was been taken at night and my Nikon has finally been expired! Merry Christmas everyone and enjoy the Festive season. 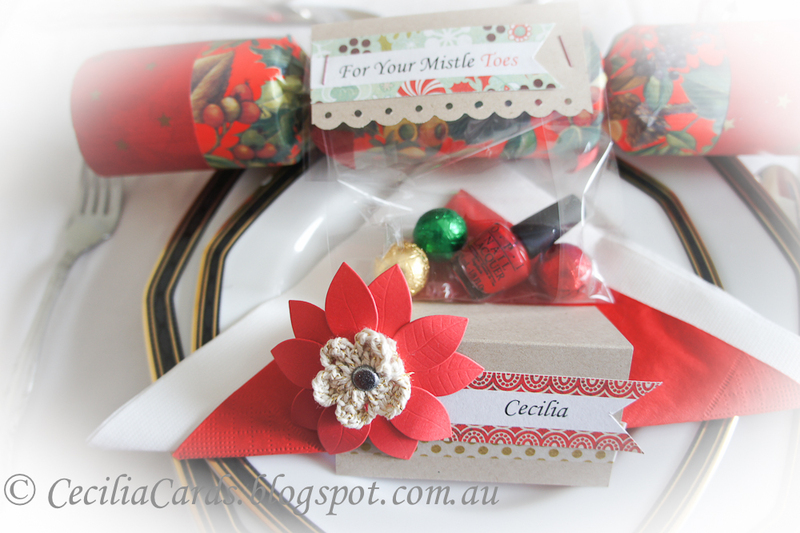 I'll be back briefly tomorrow to show my table settings for tomorrow night! Here's another shot taken the next morning! You can see the shimmer from the Perfect Pearls! 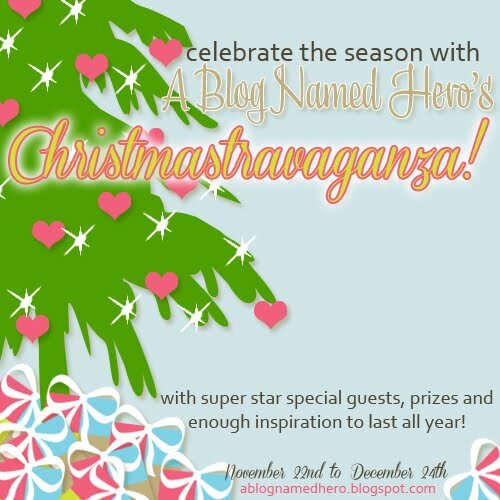 I was so excited when I received an email from Linda and Mary Dawn from 'A Blog Named Hero' to participate in the Christmastravangaza. This is my first guest post on another blog and the list of participants included some of my favourite artists - such an honour! 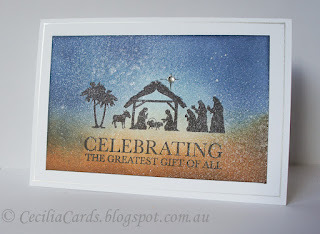 Please click on this link to see my blog on ABNH. 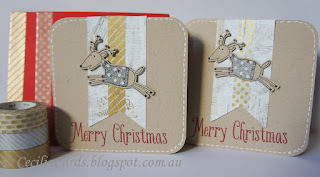 There is a prize giveaway as well on each post up until the 24th of December. 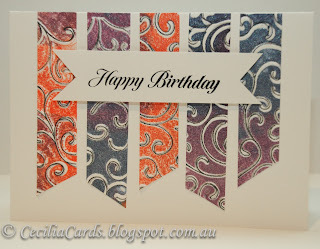 Here's a sneak peak of what I made, details are on the ABNH blog. I've been so busy with Christmas preparations this week that I am crafting for just what I need for Christmas (cards, tags, placecards). 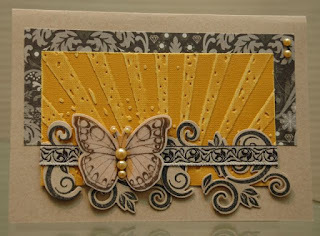 I love the Moxie Fab World Tuesday Trigger - Shimmer and Shine and I just have to make something! 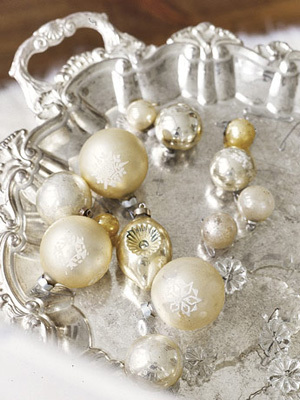 The trigger photo inspired me to make jewel encrusted baubles. 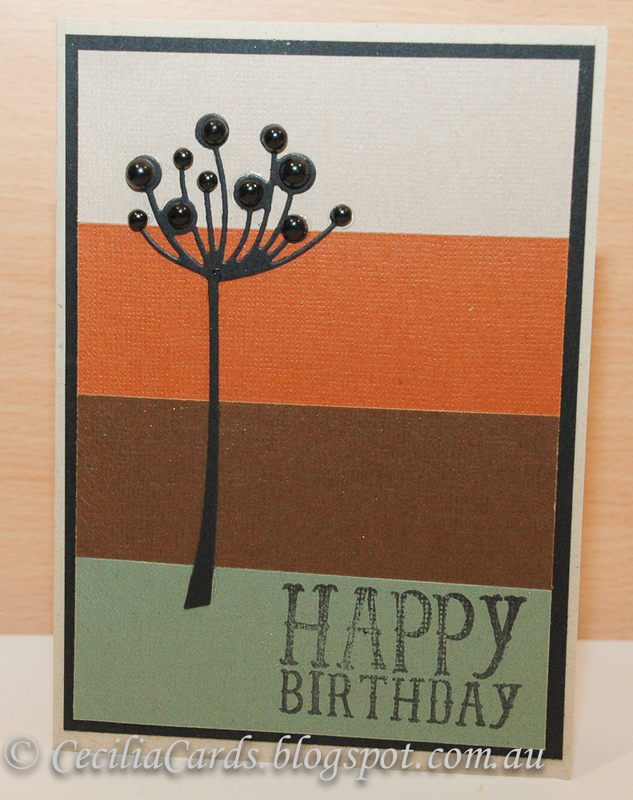 I've also used the CAS(E) sketch for this card. Thanks for dropping by. Come back again tomorrow for my post on A Blog Named Hero's Christmastravaganza. I have a slight addiction to washi tape, just can't get enough of it! Last month, I submitted these two cards to the Paperpoint MT Washi tape contest and guess what? 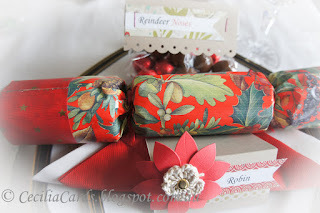 I won $100 worth of washi tape! 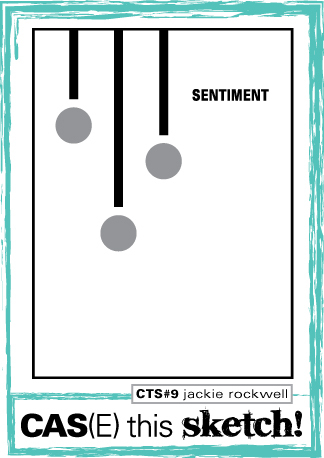 I would like to share a card I made for a magazine submission that was rejected. The good news is that the other card got accepted! Yay! The flowers in this card was made with decorative tape from MME - I love the effect of diecuts on washi tape! 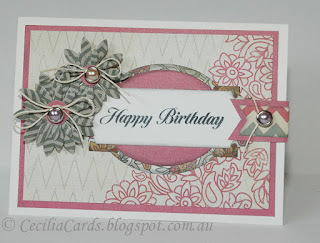 I'm submitting this card to Simon Says Stamp's What's Your Favourite challenge - Washi Tapes and Dies of course! Please visit A Blog Named Hero - Christmastravaganza as I am making a guest appearance on 17th December, there are prize giveaways everyday until 24th December! I've been really busy this week with work and now I'm feeling the pressure of Christmas upon me. A bit of distraction with card making eases the pressure! I have a card for this week's Retro Sketch challenge, Simon Says Stamp Snowflakes challenge and Simply Less is More's Red/Green challenge. I had an order from my niece for a wedding she is attending. 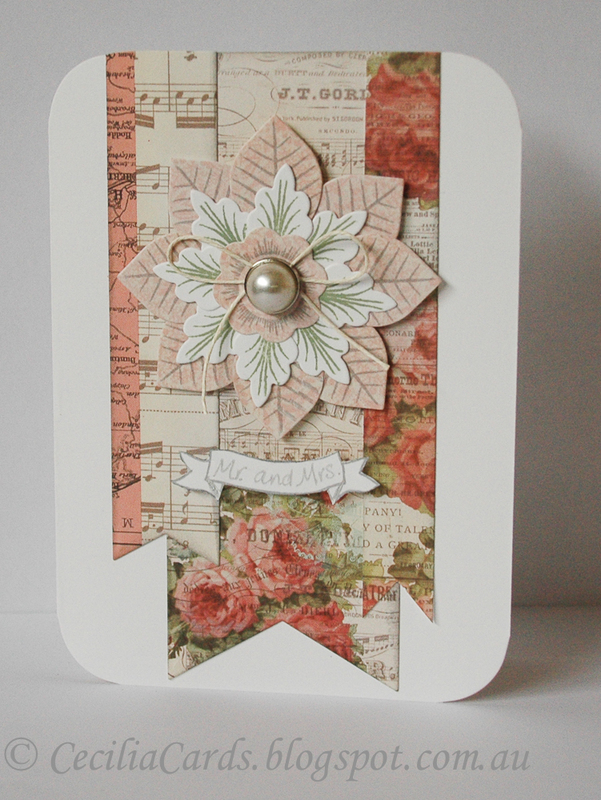 She saw my previous card made with the PTI Lovely Layers stamp set and wanted something similar. Funny, I always challenge myself to make something unique each time! 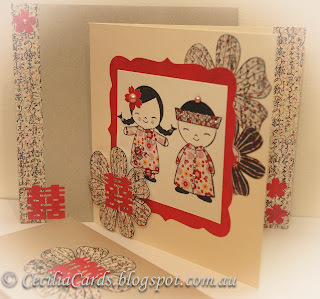 I decided to use the same patterned papers but the layout is different. I gave it to her yesterday and she loved it! 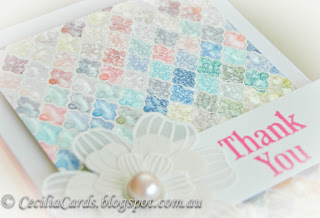 I didn't make this card for any particular challenge, but there is still time to put it into the Simon Says Stamp Anything Goes challenge. Thanks for dropping by!